EVENT is OPEN TO THE PUBLIC!!! Sheila Snow presents Ann Forest of the Vernon & District Women's Centre with a donation of $1033!! 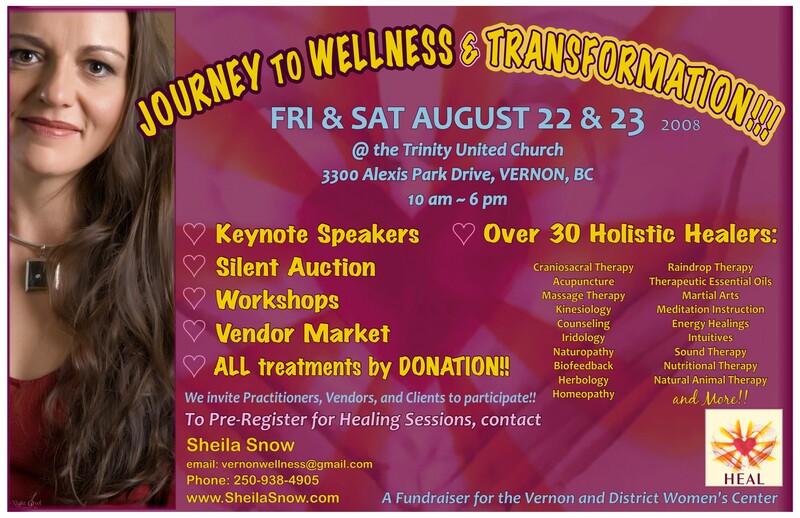 Proceeds from the Journey to Wellness & Transformation event that took place on Aug. 22&23, 2008.